The fact that no prominent politician on the left has yet to step up to run against Gov. 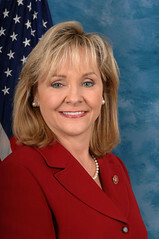 Mary Fallin in the 2014 election shows the somewhat precarious state of the Democratic Party in Oklahoma these day. There’s no one Democrat or one segment of the party to necessarily blame for the circumstance. What I referred to as the “Obama effect” back in 2009 still applies today. President Barack Obama is wildly unpopular here, especially now because of misinformation and fear mongering doled out daily about the Affordable Care Act by Republican politicians and the conservative media here. It’s difficult for any Democrat to run for a statewide office given the party association with the president. Republicans captured every statewide office in 2010 and remain on target to do so again in 2014. The GOP has super majorities in the Oklahoma House of Representatives and Senate. The state’s entire Congressional delegation is now Republican. There’s been some interest among Democrats in the State Schools Superintendent race, but that just shows how irrelevant Democrats have become in a state where they once ruled supreme. Maybe Democrats have a shot at State Schools Superintendent. Maybe not. For years now, some people have claimed that Democrats don’t have a message or a brand that resonates with voters, but that seems too simple. It’s just basically true that low-informed voters, manipulated by crafty GOP politicians and the conservative noise machine, have been seduced into voting against their own economic interests for visceral reasons related to wedge issues, such as abortion or prayer in school. This will not change anytime soon. When you look at Oklahoma’s low college graduate rate and the sheer size of the myopic religious right here, the picture becomes clearer and more depressing. In other words, it’s not something that a Democratic political operative or party official can do much about. I’ve been guilty of it in the past, but I think it’s unfair to blame the state Democratic Party for the situation. Who in the world would want to run against Fallin given her approval rating, name recognition and campaign money? No amount of messaging or branding is going to make that reality go away.
. . . [Fallin] could cuss out Andrew Speno, dye her hair pink and get caught doing coke with Wayne Coyne in the Blue Note bathroom and still coast to an easy victory. A conservative friend once told me a few years ago that the GOP will control Oklahoma politics for at least a generation. Political realities can change quickly under pressing circumstances, but I’ve come to accept the fact that this is a long-term issue and that there’s no magic candidate or message that can immediately change things on the state level here in Oklahoma. Democrats need to continue fighting, of course, but to say it’s a discouraging situation is, well, an understatement. R.J. Harris, who describes himself as a Libertarian Democrat, has indicated he will run for governor, but is he really a serious candidate? Can he raise millions of dollars in campaign money to match Fallin? How do his political stances contrast with mainstream Democratic political views? Progressives CAN make a difference, however, in local elections. For example, local physician and Oklahoma City Councilman Ed Shadid is running for mayor on a platform that includes improving public transportation, making neighborhoods safer, citizen equality and government transparency, issues that progressives can absolutely support. We can continue to move our specific communities forward even as the conservative juggernaut continues unabated on a state level.